How Far Has the JSE Top 40 Index Changed? There is nothing permanent in this world except change. Even in the stock market, changes are inevitable and we are a witness on how it revolved throughout the years. As for the case of the South Africa’s best known equity market, the JSE Top 40 Index, changes have drastic in the past ten years as the country experienced series of blows and jabs in its overall economy. 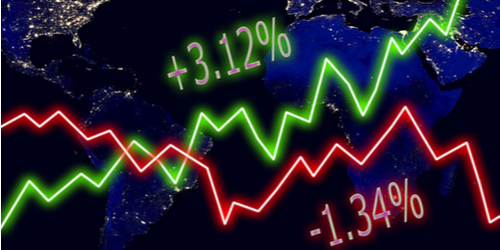 The JSE Top 40 Index is known to be a great component of the South African economy. The benchmark has facilitated the activities in the stock market in the country, where less than 70% of shares are owned by South Africans. But that figure must be a thing of the past now. As of recent time, it looks like tables have been turned in the case of the JSE Top 40 Index share ownership. In terms of the companies listed, many have been removed from the list while others unfortunately fell below the rankings. From the 70% of South African investors, more than 50% of the companies and shares are now owned by foreign investors. In the current period, the index has bravely stepped in the global arena and most of its profits are earned outside the country. Just a year ago, the foreign investments in the JSE Top 40 Index have crossed the 110 billion rand-mark, with Steinhoff emerging as the firm receiving the biggest foreign shares with 40 billion rand. Non-south African investors also made a huge gamble to Sasol, MTN, Aspen, and First Rand for putting an aggregate 28 billion rand. Now, out of 40 companies, only 8 of them are owned by its native people with only 75% investments with each firm. Moreover, there was a huge difference in terms of the number of sectors dominating the stock market. Before, the number of mining stocks constituted 11 firms, or 43.77%. Today, there were only four companies listed in the index, which are Anglo American, Anglo American Platinum, AngloGold Ashanti and BHP Billiton. Clearly, there are a number of firms who have experienced unprecedented fall. In fact, there are 16 companies who have bid adieu to the index and two were de-listed. The recent theme in the market has now shifted to industrial and consumer stocks, which cover almost 60% of the shares in the index. The JSE Top 40 Index is truly a different animal now. And as financial markets march forward, it will continue to change in the next years to come.